According to the survey of current situation and prospects of the Russian metal processing machine tool market compiled by the Intesco Research Group in 2012, the imported metal processing machine tools dominate the Russian market. In 2011, the share of imports reached 82%, which was 673,000 pieces. In 2011, the output of metal processing machines accounted for 1% of the total supply, which was 5,100 pieces. In early 2011, there were 140,000 reserves of metal processing machines in Russia. In 2009, the import share of this product decreased by 16.8%. In 2010, the import volume surged to 606,000 units. In 2011, the import volume increased to 673,000 units. Russia's metalworking machine tool output fell the most in 2009, a year-on-year decrease of 58.5%. In 2010, production increased by 33% year-on-year to 4,200 pieces. In 2011, the output of metal processing machines in Russia increased to 5,100. 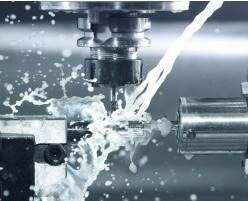 It is predicted that the production of metalworking lathes in Russia will continue to recover from 2012 to 2016, with an average annual increase of 10%. By the end of 2016, the output will increase to 8,200.